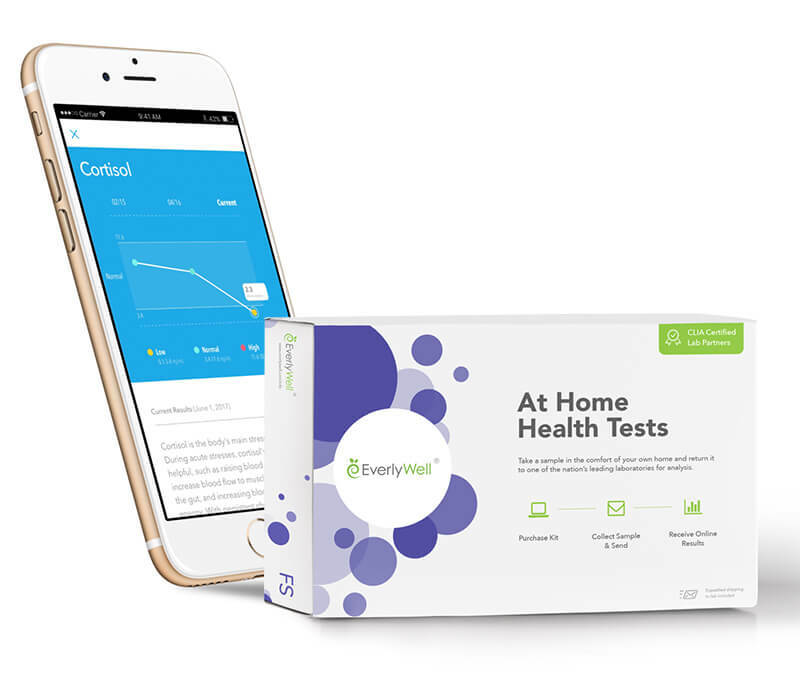 EverlyWell is perfectly poised to become an integral part of the “do-it-yourself healthcare” trend with its at-home tests that check hormone levels, blood sugar, cholesterol and much more. We are accustomed to monitoring blood pressure, heart rate and body temperature with apps on smart phones and tablets. A cool wrist band lets us know how well we’ve slept, how far we’ve walked, how many calories we’ve burned. At-home pregnancy tests have been around for many years and HIV tests for several. Direct-to-consumer genetic testing alerts us to predispositions for dozens of medical conditions. People are taking control of their health, becoming their own advocates and more mindful of healthcare costs that have always seemed unavoidable. With the at-home tests, the reduction in healthcare costs for office visits alone is revolutionary. We cannot calculate the value of the convenience—for all of us certainly, but even more so for the people who have been traveling many miles to healthcare facilities. EverlyWell was founded in 2015 by Julia Cheek. Julia had been through her own ordeals with time-gobbling, inconvenient, and expensive diagnostic tests only to be left frustrated with incomprehensible results. She thought, “There has to be a better way.” And then she set out to find it armed with her considerable experience in startups, public companies and strategy consulting; a Bachelor’s degree in economics and psychology; and an MBA with High Distinction from Harvard Business School. First, she assembled a dedicated team whose areas of expertise differ but whose work ethics and enthusiasm match her own. The result has been tests that include General Wellness (e.g., food sensitivity, cholesterol); Men’s Health (e.g., testosterone, STDs); Women’s Health (e.g., fertility, STDs); and Energy and Weight (e.g., thyroid, metabolism). EverlyWell is now doing business in 46 states. Its innovative impact on healthcare has been featured in a number of publications, including Texas CEO Magazine and the Austin Business Journal, and on the BostInno website. Julia was runner-up in Harvard Business School’s annual New Venture Competition and was selected number one Female Entrepreneur to Watch for 2017 by CIO (Chief Information Officer) Magazine. All the buzz is due to the unique system of home testing that meets or exceeds standards for reliability and validity. Consumers collect their own samples on their own time and receive physician-reviewed results that are easily understood. The process begins when the consumer requests a test kit on the EverlyWell website. (Anyone uncertain which test to request may enter symptoms into a search box and receive suggestions.) The request is then authorized by an independent board-certified physician to prevent the purchasing of a test that is not appropriate. The test arrives in the mail (without shipping costs) with easy-to-follow instructions, tools to collect the specimen (e.g., blood, saliva, urine), a secure container for the specimen, and a prepaid package to ship the specimen off to a lab. EverlyWell partners with labs that are CLIA-certified (Clinical Laboratory Improvement Amendments), meet both federal and state standards and undergo regular inspections. A key part of the EverlyWell system is the redesigned consumer-friendly lab report. The results arrive in a few days via the EverlyWell app and on the website in terms that are comfortable for laypeople. The report explains how the results may be affecting your health and suggests ways to effectuate a healthier lifestyle. Links to additional information are also included. Please note that the results are not intended to diagnose any disease or condition. Any concerns need to be addressed in consultation with a physician. EverlyWell is currently preparing to offer new tests and resources to provide their consumers with more value. Plans for expansion include partnerships with healthcare providers, availability in retail stores, and subscription pricing for repeated testing.